As Kylie Jenner famously predicted 2016 was certainly the year of ‘realizing things’. For me personally,it brought it’s highs and it certainly brought it’s lows ,but as we enter the fist week of 2017 I feel that it’s essential for us all to place ourselves in the mindset of moving forward. This is not necessarily about erasing the past from our minds, but accepting 2016 was what it was and 2017 is currently in our hands, and how we handle whatever hurdles come our way is 100% in our control. It’s important to look at what is stopping us from moving forward. 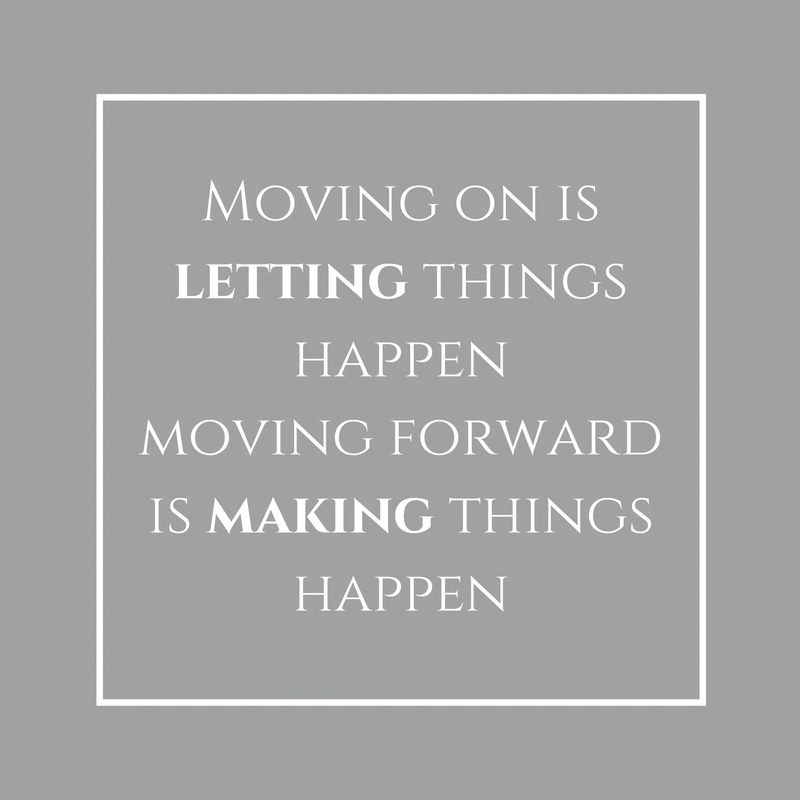 Whether it be our own personal thoughts, fears and worries, experiences or maybe even certain individuals that are holding you back from achieving your goals ,doing something in particular with your life or simply living ; this new year brings a new chapter and in order to fully move forward we simply have to let them go and stop looking over our shoulders. The past has happened for a reason. It’s part of our own individual stories, and how can we well and truly let our stories continue to be written if we are stuck in the past, maintain a negative mindset or continue to surround ourselves with negative energies? We must make whatever changes necessary and put ourselves first at times in order to move towards our goals,dreams and aspirations?